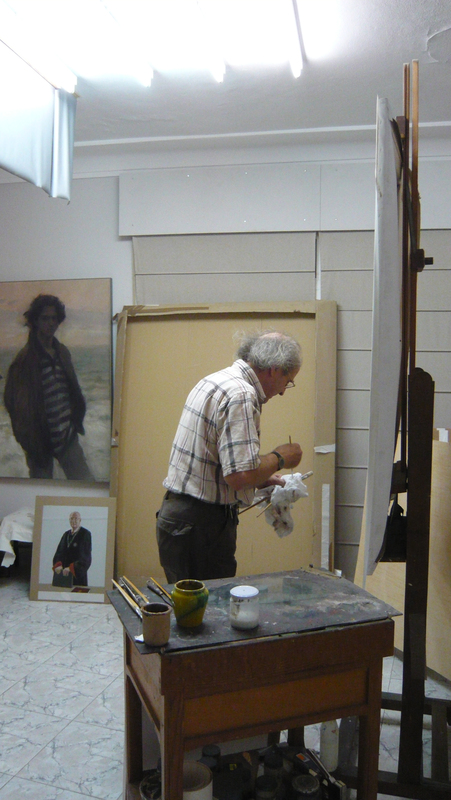 Spanish painter, drawer, engraver and professor of painting, born and residing in Seville. As part of the current collection Agudo is working on titled America. 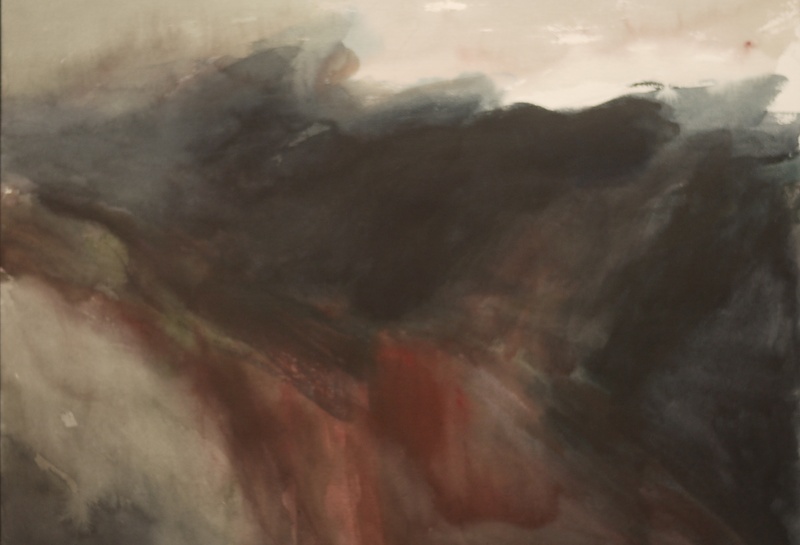 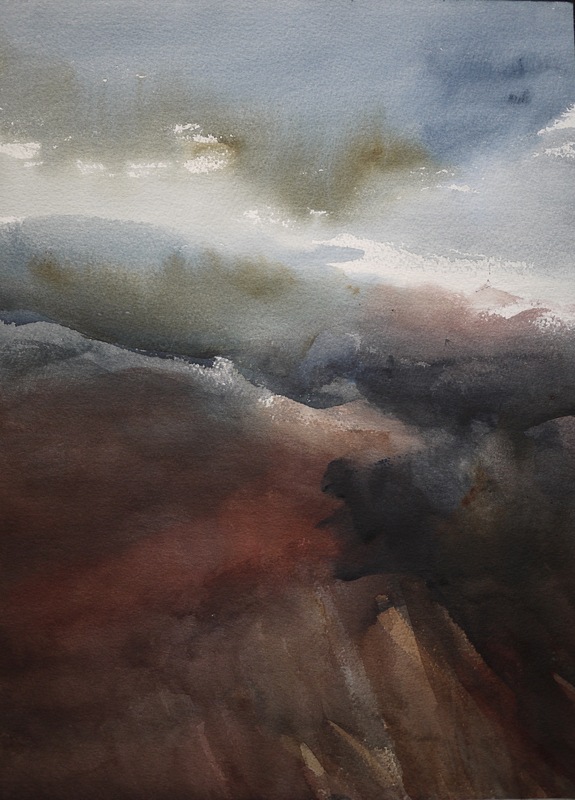 Between Iguazu and The Copper Canyon, which will be exhibited next year, the five watercolours that form the polyptych titled Storm have been made into prints in a limited run of 50 of each. 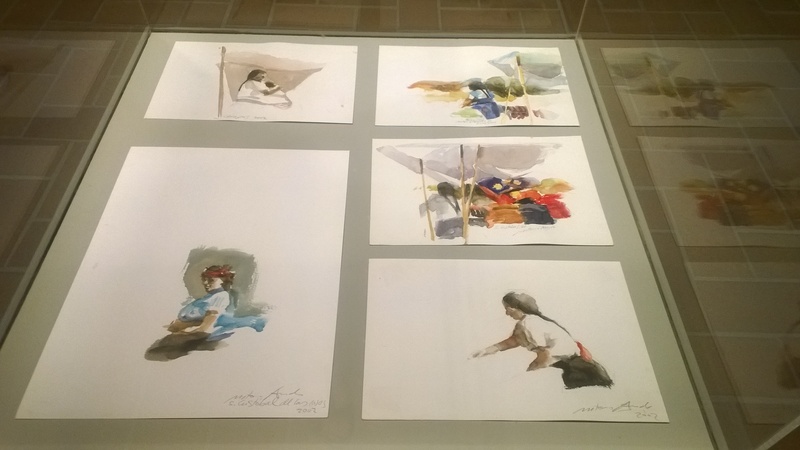 They are all also signed by the artist. The prints have been made by Seville’s poster gallery L’Image, who are selling them from their gallery and online. 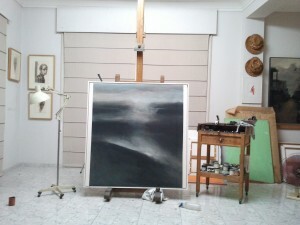 To see the rest of the works that form the polyptych, have a look at our new page Latest Works. Antonio Agudo has been selected to become part of the Royal Academy of Fine Arts in Cadiz. 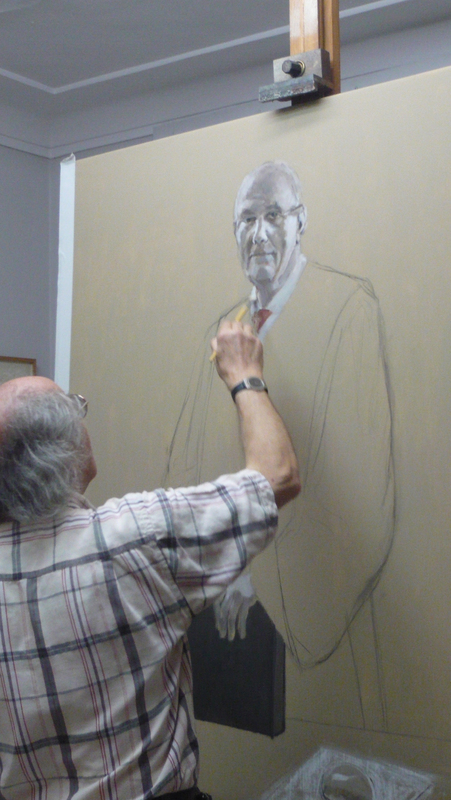 The investiture will take place on the 22nd of June. 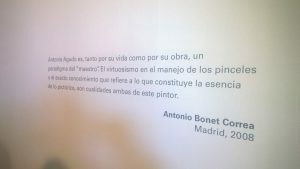 A fellow painter, the president of the Prado Museum’s Royal Board and an art historian have also been selected as new members. 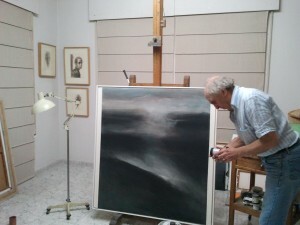 Agudo has had a long artistic and personal relationship with the city of Cadiz. During his childhood, his family moved to Cadiz from Seville for two years while his father was the director of the graphics department for the newspaper Diario de Cadiz. Since then, Agudo has featured the city and coastal villages and landscapes in different collections during his career. 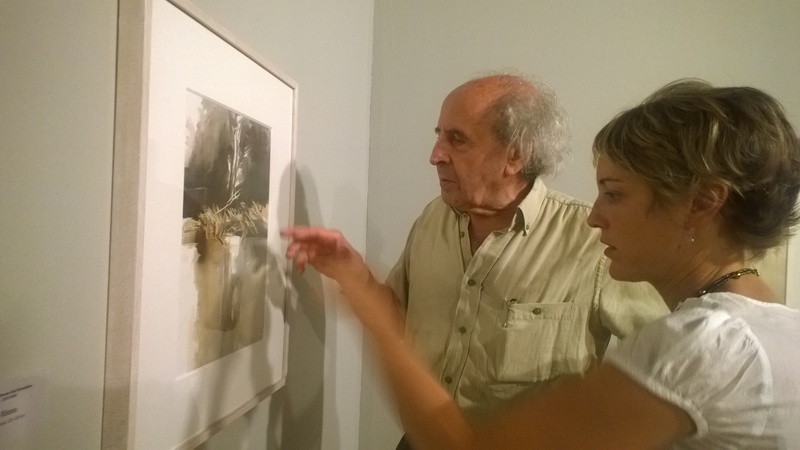 His last exhibition in Cadiz was last summer in the historic Castle of Santa Catalina. Below are some photos of the painter at the exhibition. 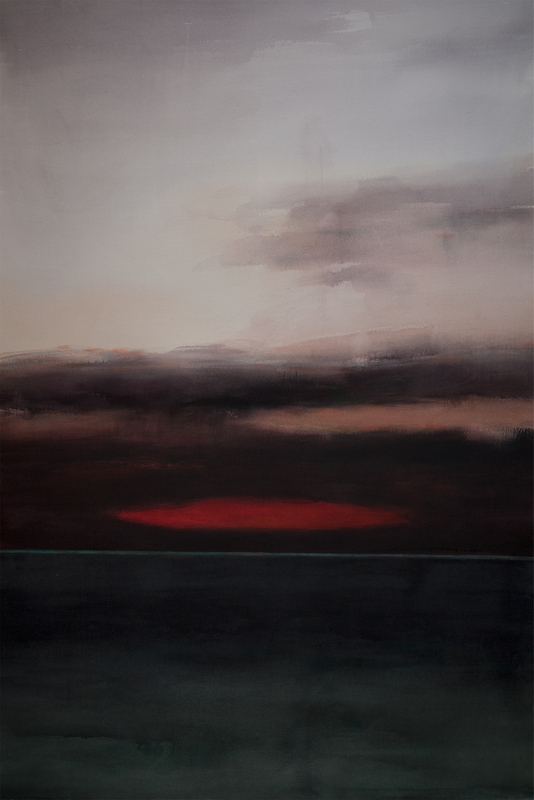 On the occasion of the painter’s next exhibition, we’ve updated the three galleries on the page with recent works. 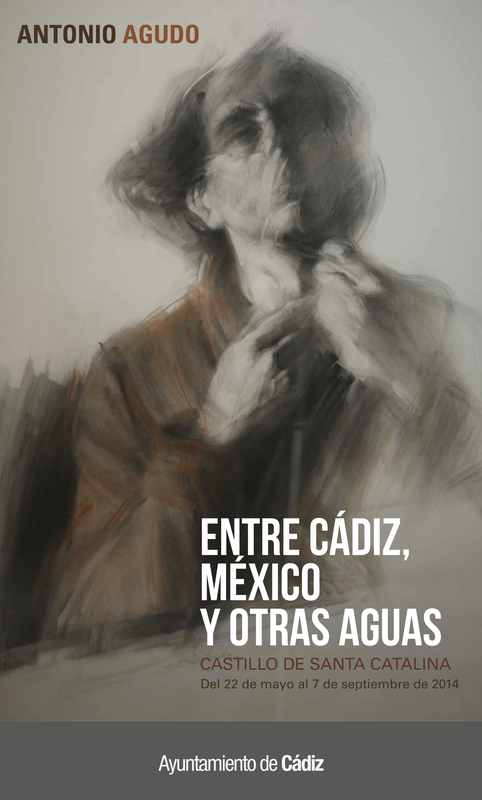 The exhibition, entitled “Between Mexico, Cadiz and other waters”, will open on the 23rd May this year at the Castle of Santa Catalina in the city of Cadiz. 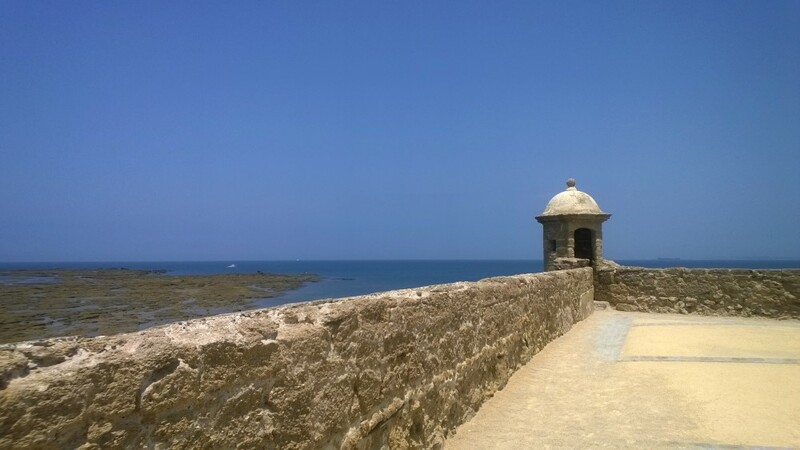 The Castle, which faces La Caleta Beach, was ordered to be built by King Felipe II in 1598, after the English assault on the city. 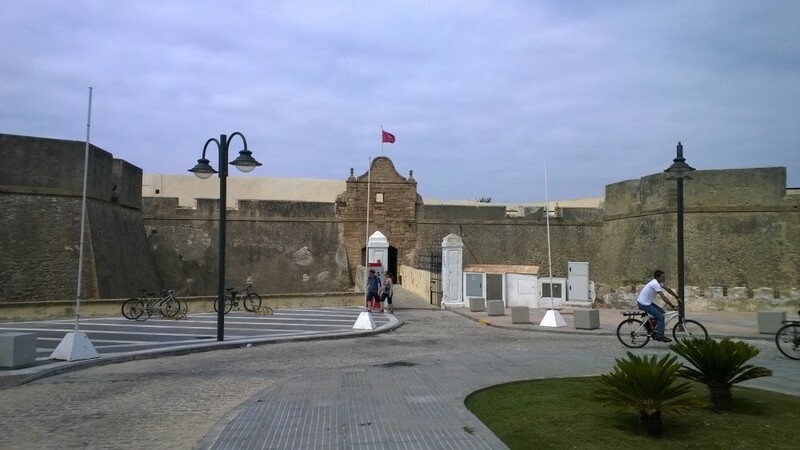 It has been recently restored and reopened to the public in January of this year. 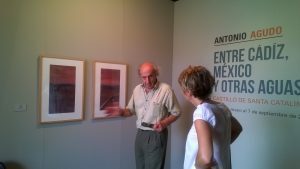 It’s exclusively for cultural use, housing exhibitions and summer concerts. 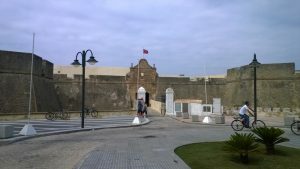 For our English speaking visitors and Bond fans, here’s a link with more info, photos and location of the castle on the James Bond website, since part of Die Another Day was filmed in Cádiz, the castle featuring in the background in a scene. After its inauguration and time in Cadiz, the exhibition will continue to Jerez and finally Algeciras, lasting until October 2014. 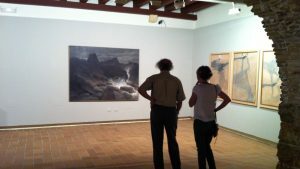 We will publish more information and links about the exhibition closer to the date. 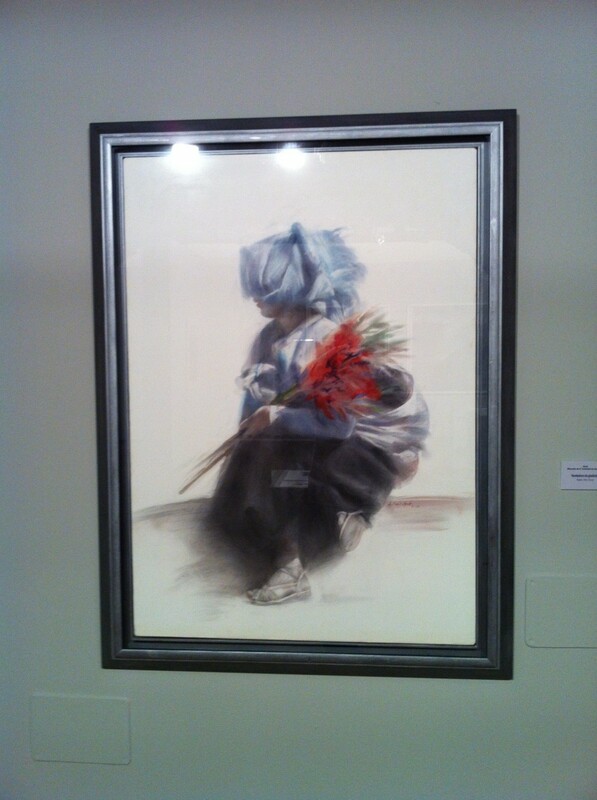 We hope you enjoy the painter’s new works. 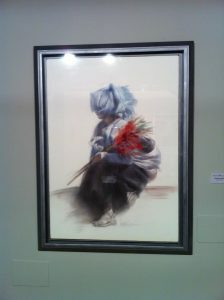 For any queries, you can write to the address on the contact page. 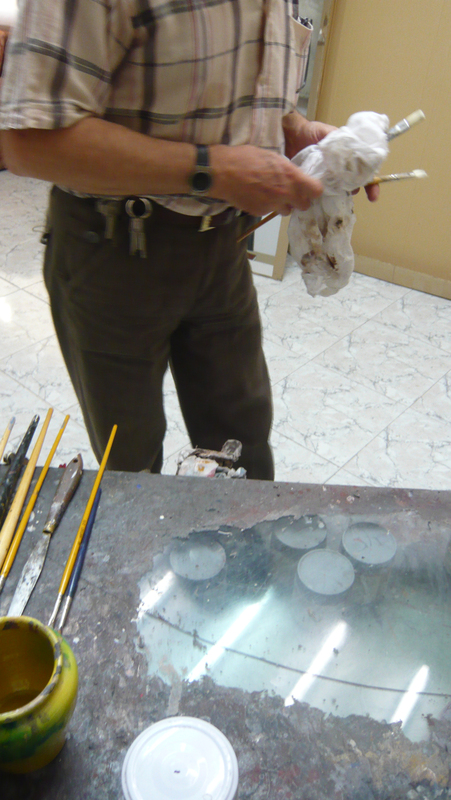 Under the heat of a Seville summer in the middle of August, Agudo works tirelessly on new works and ideas. From his previous collection of watercolours on the Mexican Copper Canyon he extracts more and more minimal and abstract expressions of the otherworldliness that attracted him from the location years ago. 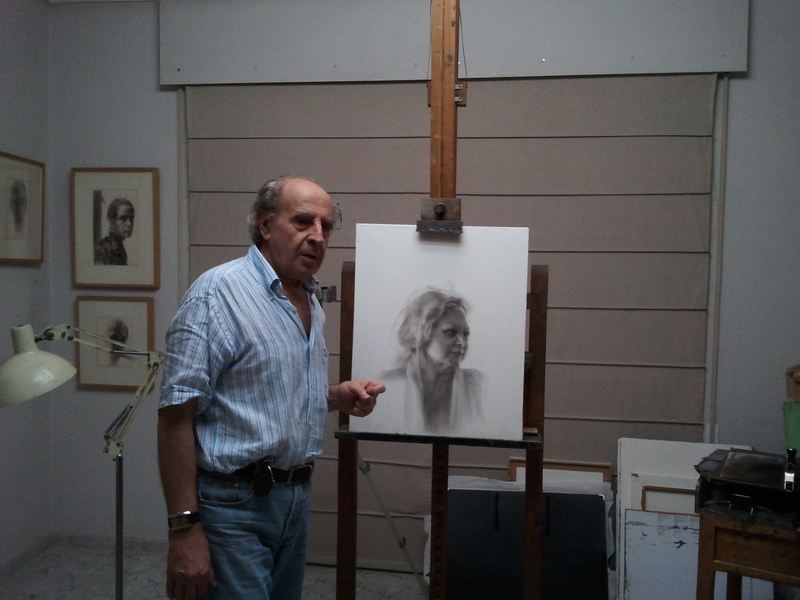 On the human figure, he’s working on a new series of charcoal drawings of his wife Pilar Sanchiz, who’s been a constant in his figurative paintings since they met more than 40 years ago. 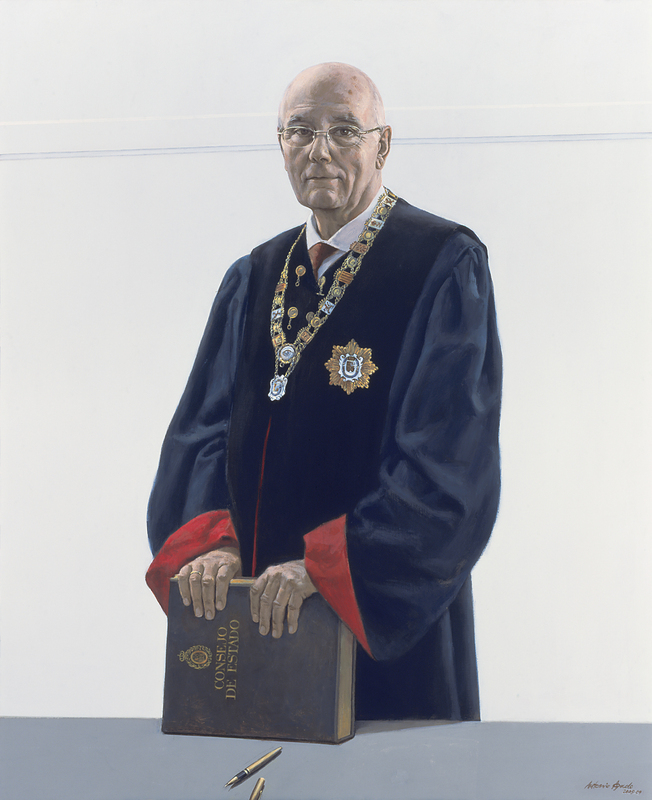 The portrait of the former President of the Spanish Estate Council, Sr. D. José Manuel Romay Becaría, that Agudo started to work on at the end of 2008, was completed and presented in Madrid last November 2009. The artist started work on an portrait commissioned by the Spanish government in November 2008. 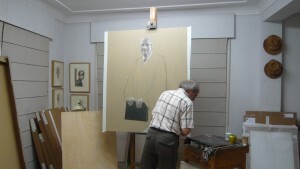 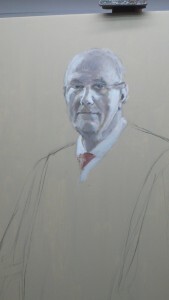 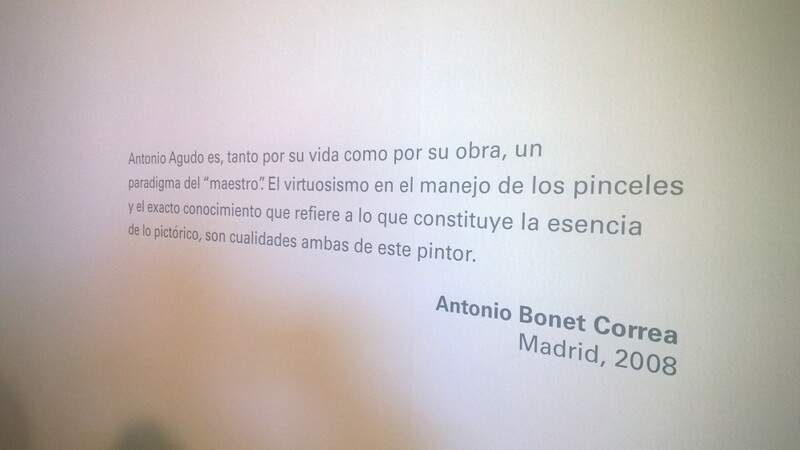 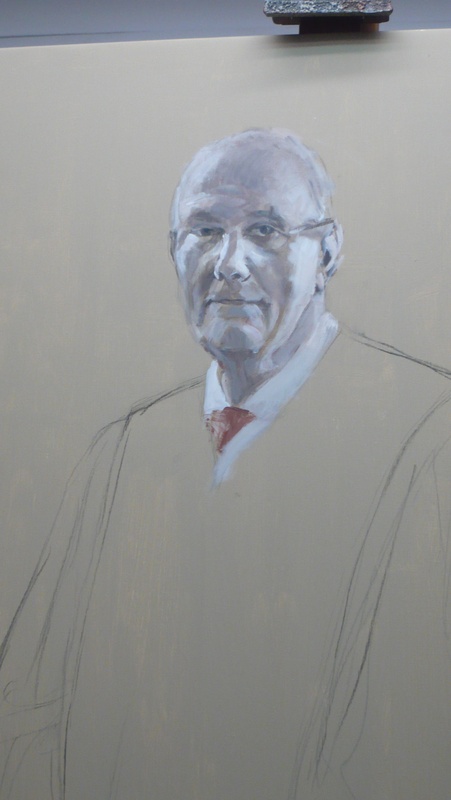 The portrait of the former President of the Spanish Estate Council will be ready and unveiled in November 2009. In the photos, Antonio is hard at work in his studio in Seville last July, finalizing the composition and choice of head and hands for the portrait in its final proportions. 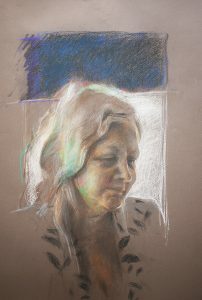 Before such process, and particularly for portraits, the artist likes to try different compositions and choices of details in small colour sketches. 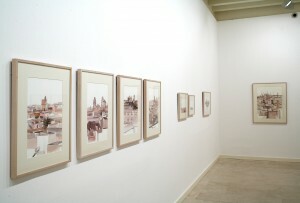 15th April – 30th May 2009 Before his solo exhibition in Alcalá de Guadaira in May this year, Agudo will be showing a selection of his Cadiz watercolours in a joint exhibition with his friend and colleague Manuel Arcenegui titled “From Cadiz to Venice”. 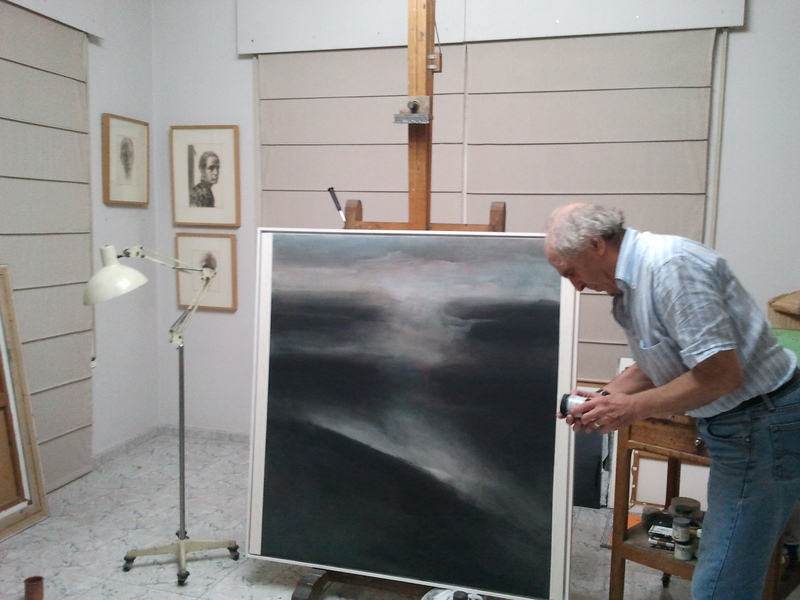 Arcenegui will be exhibiting a selection of his series of oil paintings of Venice. 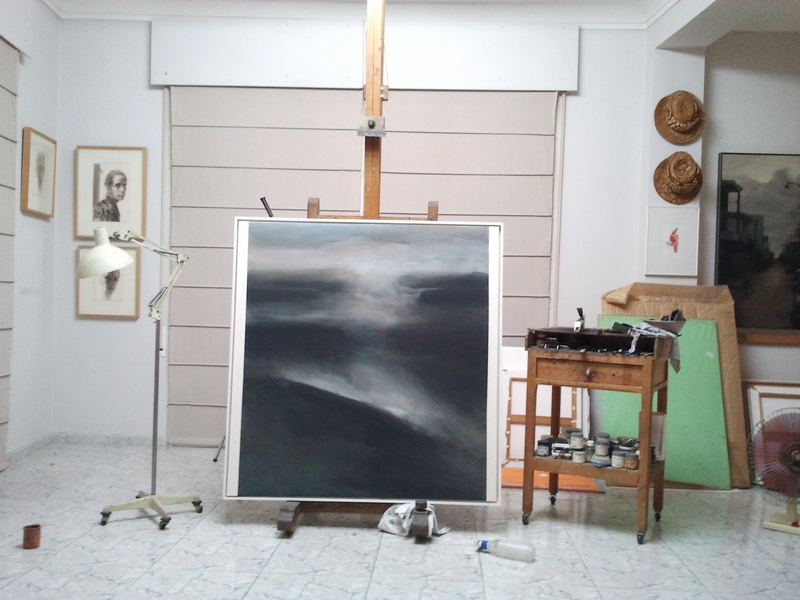 The exhibition will be held in the Gallery Abades 47, of the same address, located in Seville’s historic arabic quarter of the Barrio Santa Cruz. 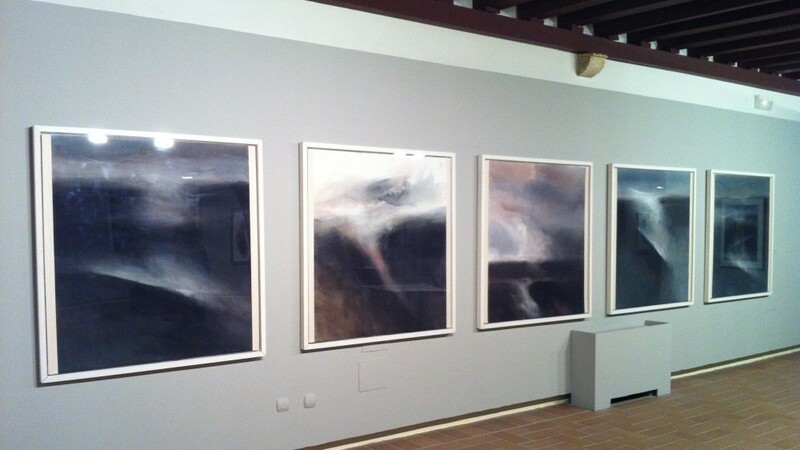 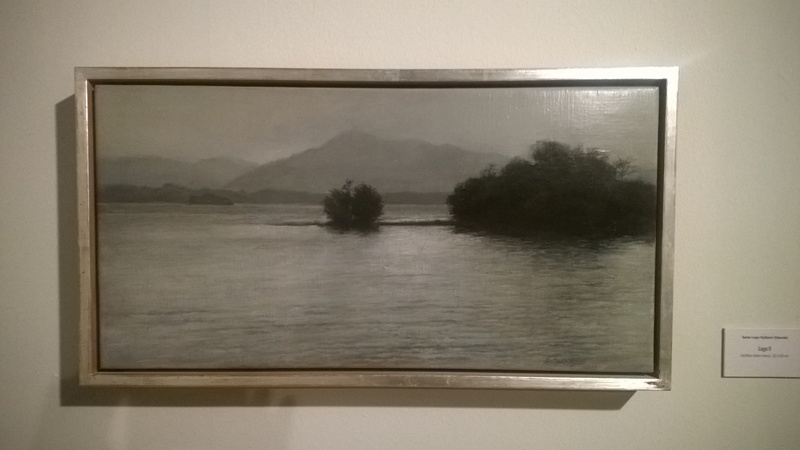 New exhibition of the painter’s landscapes, part of the series Contemporary Andalusian Landscape Artists sponsored by the Foundation Cajasol from Seville. 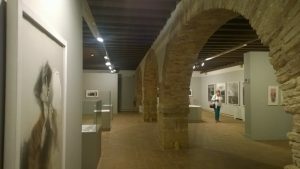 Museum of Alcalá de Guadaíra, Seville, 7th May – 7th June 2009.